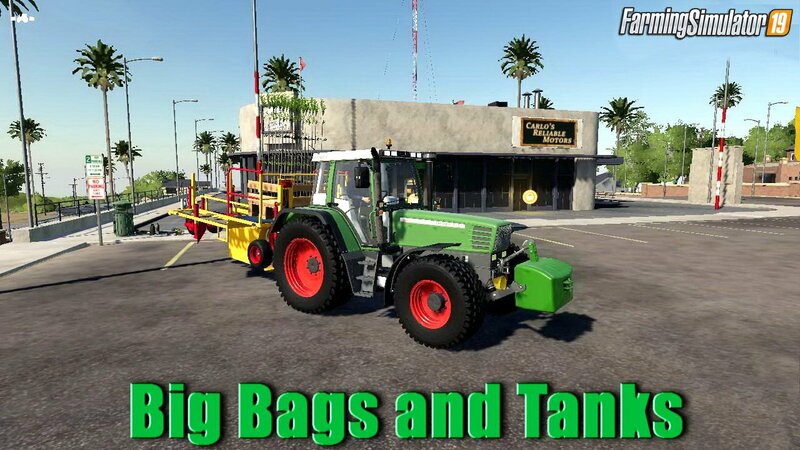 Big Bags and Tanks v1.0 for FS19 | Farming Simulator 2019 game. These are some of the Big Bags and Tank Pallets most used my players. 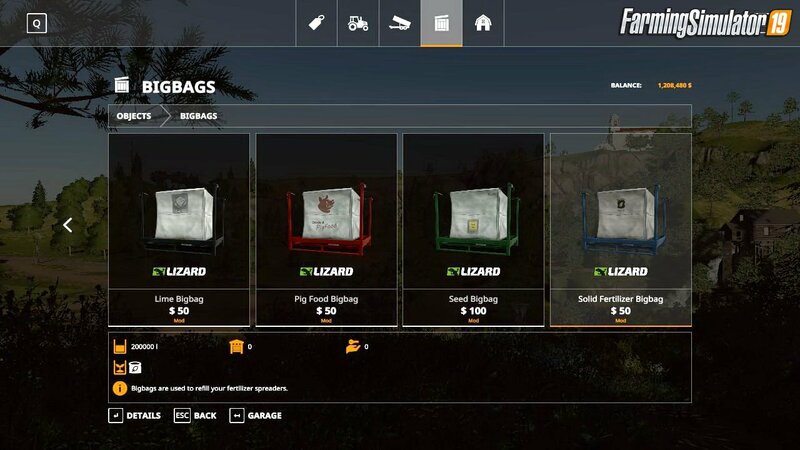 I have increased the capacity and lowered the price on all of them. Pack includes the seed big bag; 200000l and $100, solid fertilizer big bag; 200000l and $50. pig food big bag; 500000l and $50. spalings pallet; 100 spalings and $100, lime big bag; 200000l and $50, herbicide tank; 400000l and $500, and the liquid fertilizer tank; 100000l and $500. Please do not post on any other site without permission. Installation instructions for «Big Bags and Tanks v1.0 for FS19» - Your first action will be to download the archive using the appropriate button below. Mods on our site are virus-free, and 99.9% have any extension other than “.exe”!